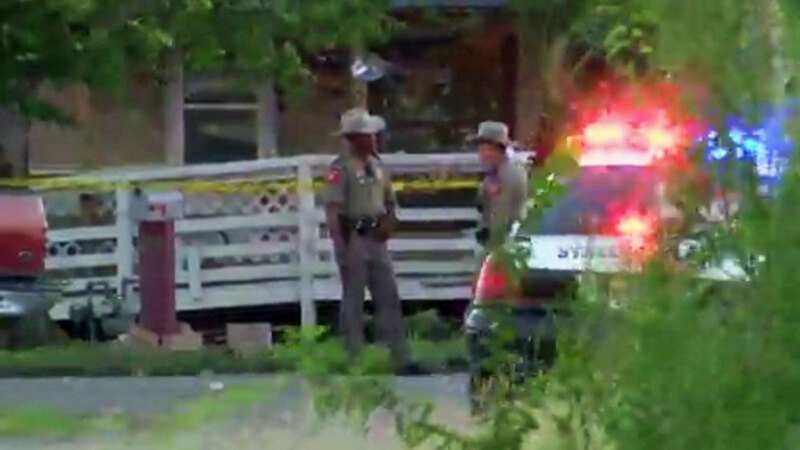 Four men have been killed and a fifth wounded after a toddler&apos;s first birthday party in South Texas erupted in gunfire. The Texas Department of Public Safety said the shooting happened shortly after 5pm on Saturday in Taft, 19 kilometres north of Corpus Christi. Sergeant Nathan Brandley said an altercation erupted between two families attending the party which escalated into a fatal shooting. Sgt Brandley said one suspect is in custody and a second suspect has not yet been arrested. He identified those killed as 62-year-old Juan Espinoza Sr; 20-year-old Juan Sandoval; 22-year-old Jeremy Sandoval; and 25-year-old Nicky Sandoval. The officer did not immediately say how they were related. The wounded man, 43-year-old Juan Espinoza Jr, was airlifted to a Corpus Christi hospital with police saying he is expected to survive.